Joyce Mansfield, assistant editor of the Farm Bureau's bimonthly California Bountiful magazine, spoke with CalAgrAbility staff about consumers' stories. These are opportunities for consumers to share how CalAgrAbility helped them meet farming goals, their crops, and how they work with disabilities. The magazine promotes connections between farm and city, introducing readers to farmers, ranchers, chefs, and others who bring food and farm products to the public. 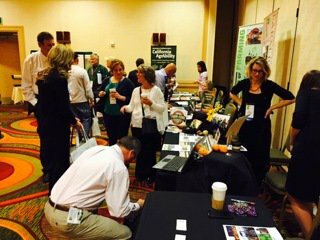 The CA Small Farms Conference booth in San Diego provided an opportunity for staff to speak with over 200 people; some with rheumatoid arthritis, lower mobility problems, amputations, lower back pain and polyneuropathy. CalAgrAbility shared arthritis, ergonomics and safety resources. Staff networked with other agencies (i.e. FarmLink) at the conference. A PDF marketing toolkit for small and midsize livestock and poultry producers can be accessed here: http://tinyurl.com/ktox59v . Next year the Small Farms Conference will be held in Sacramento. CalAgrAbility's partner, Ability Tools, reached out to the disability community to share AgrAbility's services at the "Abilities Expo AT Showcase" in LA. Ability Tools, the event sponsor, disseminated CalAg materials and gave attendees a chance to explore how AT can help bridge gaps between ability and disability. AT devices for communication, computer access, mobility and vision were available to try. See details here: http://www.shoulderpod.com/. A showcase highlight was Wheel: Life, a global initiative assisting people in addressing questions and challenges that come with using a wheelchair. One Ability Tools staff shared that she loved speaking to two farmers who are wheelchair users. She found they could benefit from adapted agricultural equipment. CalAgrAbility celebrated Farmworker Awareness Week by attending a Farmworker Conference in Esparto, and the UC Global Health Institute Meeting in Sacramento. The Farmworker Conference drew nearly 75 farmworker families with whom CalAgrAbility shared arthritis materials. CalAgrAbility networked with community health workers regarding diabetes classes at migrant centers and the Yolo Families Center regarding free dental screenings. The UC Global Health Institute Meeting drew over 50 health professionals to discuss ways of improving the health of ag workers. The director of the California Access to Care Program at the UC Berkeley School of Public Health shared an interesting fact: 50% of farmworkers have never visited a dentist. CalAgrAbility published PSAs in Spanish and English about dental care with help from the Agriculture and Natural Resources Bilingual Media Services. They emphasized regular health care visits, including dental screenings and gum care. This information from the National Institute of Dental and Craniofacial Research: "Gum (Periodontal) Disease." http://www.nidcr.nih.gov/OralHealth/Topics/GumDiseases/. They also shared that tooth loss is more common in rural communities. Read more about it here: "Structural Cavities in Rural Dental Health"http://www.dailyyonder.com/silent-epidemic-dentistry/2012/03/22/3824. 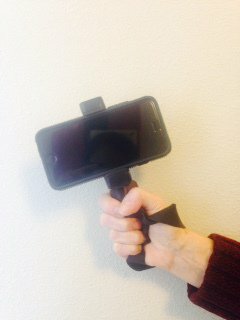 A senior CA State Legislator spoke with CalAgrAbility at the Marketing Meeting for Non-Profit Leaders in Winters, CA, about the SHOULDERPOD, an AT device to stabilize the hand when taking pictures. 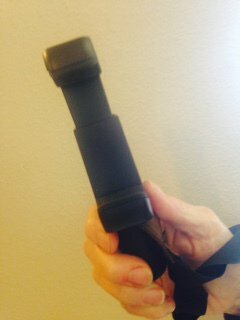 It keeps the hand steady to get the best picture and may be adaptable for other uses for farming and ranching. Find it here: http://tinyurl.com/nvu36b6. The speaker suggested using Canva.com, a design tool to create flyers or edit pictures. CalAg used Canva.com to create a flyer to celebrate National Ag Day and shared it on Twitter. She also recommends Twitter users to try the new feature "Lists". Here is an article on five reasons one should use Twitter Lists. CalAgrA has started using lists! http://tinyurl.com/ydhozxb. The annual Inter-agency Meeting of Migrant Centers was held to coordinate outreach efforts among organizations in Solano and Yolo Counties. CalAg networked with over 25 agencies including Blue Shield of CA, Social Services of Yolo, Food For Less, Planned Parenthood, and members from the Girls Scouts. Farmworker families will be coming to work within the next four weeks, and the drought continues to be the main concern for families returning to work. CalAgrAbility is excited about a new collaboration with Farm to Mouth Project (FMP) in Yolo County, giving farming jobs to folks with mental disabilities. CalAg had referred consumers to them in the past. After learning of FMP from CalAg, two college students from Chico State are interested in starting a similar farm project. Learn more at http://tinyurl.com/ntx5btd.